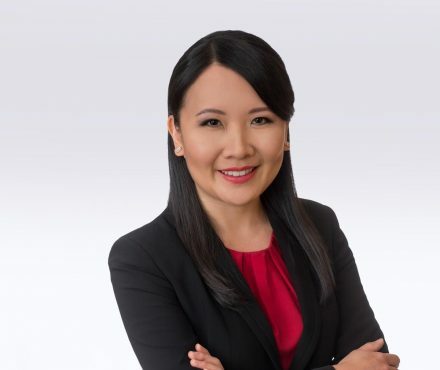 Jessica is an associate lawyer in both Lindsay Kenney’s Vancouver and Langley offices. She is a designated Trust and Estate Practitioner (TEP), and primarily assists clients in the areas of estate and incapacity planning, estate administration, and corporate matters. She cares about getting to know her clients and helping them find the most practical and effective solution for their individual needs. With respect to estate and incapacity planning, Jessica works with clients to help identify their objectives and concerns, and advises on planning tailored for their unique circumstances. To implement this planning, she regularly prepares a variety of supporting documentation where needed in each case – these may include wills, powers of attorney, representation agreements, advance directives, trust documents, and various others. With regard to estate administration, she provides well-considered advice and assistance to executors (or other personal representatives) so that they can fulfill their legal duties prudently and efficiently. For corporate matters, Jessica provides legal services that include the creation and maintenance of new business entities, succession planning, and corporate reorganizations. Jessica’s previous experience provides a well-rounded perspective to any legal issue. Prior to joining LK Law in early 2015, Jessica worked as a general practitioner in a small, full-service law firm in downtown Vancouver and as a personal injury lawyer in the Tri-Cities area. Previous to that, she completed her articles in downtown Vancouver at a national firm known for its labour and employment law practice. Called to the British Columbia Bar in 2011, Jessica holds a law degree from the University of Victoria, and a Bachelor of Science in cell biology and genetics with a minor in Commerce from the University of British Columbia. Jessica was born and raised in Vancouver, and is able to skillfully assist clients in Cantonese and Mandarin. When not at the office, Jessica likes to spend her time gardening, trying out new recipes, entertaining family and friends, and creating a variety of crafts. She also enjoys playing ultimate Frisbee, practicing yoga and has recently taken up golf and floor hockey. Blog — View Blog Posts by Jessica Y.